OSAKA - Municipal mergers, integrated casino resorts, bullet trains and the future of nuclear power plants — local issues with national political repercussions — are expected to be taken up by candidates from Hokkaido to Kyushu in the coming weeks as the country prepares for a series of elections on April 7 and 21. But if the 2015 local elections are any indication of what to expect this year, the real concern is finding candidates and then mobilizing people to vote at the prefectural level. 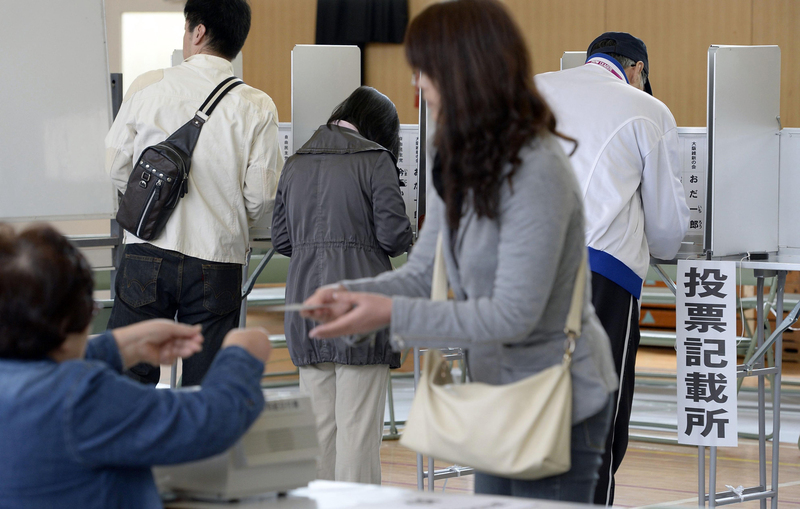 In 41 prefectural assembly elections scheduled for April 7, 27 percent of the seats are uncontested. Four years ago, turnout in some of those races fell under 50 percent for the first time in postwar history, with just 47 percent of voters, on average, casting their ballots in gubernatorial races, and a mere 45 percent voting for prefectural assembly members. On the other hand, the average voting rate for small town and village heads was 69 percent, while those assembly races saw a turnout of 64 percent. These local elections take place at a time when the No. 1 concern in most places outside of Tokyo is declining and aging local populations. This has made finding people to run in local races a challenge, a hurdle seen in the 2015 polls, when nearly 22 percent of village assembly seats went uncontested. Gender parity has also been, and continues to be, a vexing issue in local elections. Despite a barrage of rhetoric from the government, media and corporations about the need for women in politics, 17 mayoral candidates in six major Japanese cities — Osaka, Sapporo, Hiroshima, Shizuoka, Hamamatsu in Shizuoka Prefecture and Sagamihara in Kanagawa Prefecture — are all male. This poor showing is only slightly better among the 11 gubernatorial candidates, only five of whom are women. The total number of women running in next month’s elections will not be known until April 16, when campaigning for the April 21 elections for ward and village councils and heads officially kicks off. However, a 2017 survey by the Cabinet’s Gender Equality Bureau showed that, of the 1,788 local assemblies in Japan, 20 percent had no female representatives. Many of the local races are also drawing scrutiny over how they could affect local plans for economic revitalization and, in turn, the ruling Liberal Democratic Party-Komeito coalition’s chances in July’s Upper House election. Here are a few of the key races around the country that are being watched for their national impact. 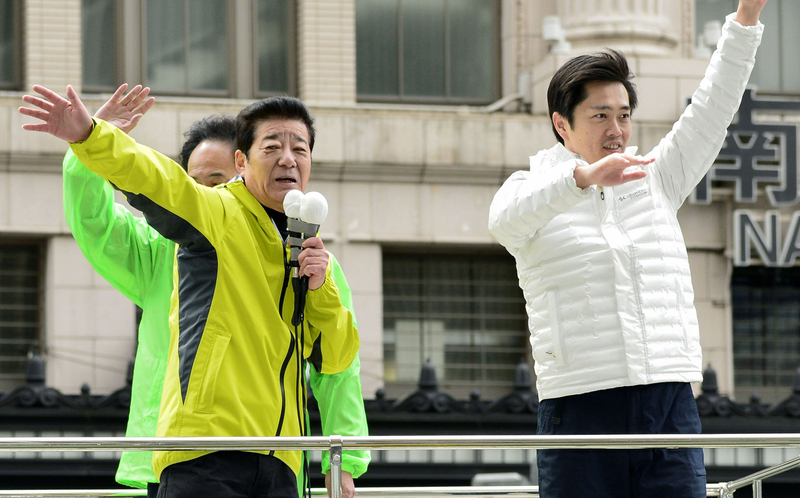 In Hokkaido, the five major national opposition parties are supporting 45-year-old former Lower House lawmaker Tomohiro Ishikawa against 38-year-old ex-Yubari Mayor Naomichi Suzuki, who is backed by the LDP and Komeito, in the gubernatorial race there. It marks the first time in 16 years that a sitting governor has not stood for re-election, with current Gov. Harumi Takahashi stepping down to run in July’s Upper House poll. 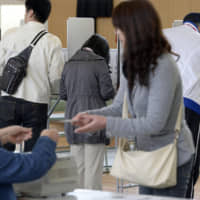 The Hokkaido election is likely to be focused on issues such as whether to pursue an integrated resort incorporating casino facilities, possibly in the city of Tomakomai near New Chitose Airport, as well as a review of Hokkaido Railway Co.’s train service, especially to rural areas in the central and eastern areas of the prefecture where population decline is accelerating. The possible restart of the Tomari nuclear reactor is also expected to be a hot topic. Ishikawa, whose slogan is “A declaration of Hokkaido independence,” is based on the idea of Hokkaido becoming less reliant on Tokyo for various public works projects. His platform includes a promise to create a new organization consisting of city, town and village heads and local businesses to come up with new ways of revitalizing local economies. He opposes a casino resort complex and the restart of Tomari. Suzuki, meanwhile, has promised to work with the business community to provide training opportunities for younger workers. He has indicated he would continue Takahashi’s general support for a casino resort and said he’d only make a judgement about Tomari’s restart after he’s elected. The campaigns for Osaka governor, mayor and for the city and prefectural assemblies will revolve around the single issue of whether to merge the city’s 24 wards, a move that the Osaka Ishin no Kai (One Osaka) political group insists will save money and improve local bureaucratic efficiency. This plan has been vigorously opposed by all other political parties, including the LDP and Komeito. For Osaka Ishin, candidates Hirofumi Yoshimura, who is running for governor, and Ichiro Matsui, who is running for mayor, the poll is a do-or-die election. A loss by either man to LDP and Komeito-backed Tadakazu Konishi, who is running for governor, or mayoral candidate Akira Yanagimoto — or losses by their party in the assembly elections to LDP or Komeito candidates — could give Komeito the option of tying up with the LDP to form a majority. That would spell the end of the Osaka Ishin movement and possibly force Osaka Ishin’s national party, Nippon Ishin no Kai, to merge with other parties or fold after the Upper House election. It would likely strengthen the hand of both the national Komeito chapter and LDP Secretary-General Toshihiro Nikai, who has strongly backed both Konishi and Yanagimoto. In Fukuoka, incumbent Gov. Hiroshi Ogawa, 69, has the backing of the local business community and some LDP members in his re-election bid. However, LDP heavyweight and Finance Minister Taro Aso, who represents a district in Fukuoka Prefecture, and the party’s local chapter have decided to back former health and welfare ministry bureaucrat Kazuhisa Takeuchi, 47. Aso and Ogawa have been at odds since 2016, when Aso did not support Ogawa’s candidacy in a 2016 Lower House runoff election. While a victory by Ogawa would be seen as a setback for Aso, the two candidates differ little on policy issues, with both promising more attention to social welfare issues such as better child care and more opportunities for women. A third candidate, Kiyoshi Shinoda, backed by the Japanese Communist Party, has made opposition to revising Article 9 of the Constitution and more support for small and medium-sized businesses key planks of his platform. In Fukui, the economic impact of decommissioning five nuclear reactors and running several others, including three over 40 years old, as well as the completion of the Hokuriku Shinkansen to Tsuruga, are the most pressing issues. Current Gov. Issei Nishikawa, 74, is running for re-election. While he has traditionally been backed by the LDP, the prefectural chapter — which includes onetime defense chief Tomomi Inada, a close ally of Prime Minister Shinzo Abe — has chosen to throw its support behind Tatsuji Sugimoto, 56, a former vice governor. Nishikawa, however, has still managed to garner the support of many local business and government heads. In most of the races nationwide, candidates who have at least some form of support from the ruling coalition are expected to take home the lion’s share of votes. But how the central government, and particularly the Abe administration, deals with winners and their local priorities and funding requests afterward will play a large role in determining how the ruling bloc, in particular, will fare when voters return to the polls in July.